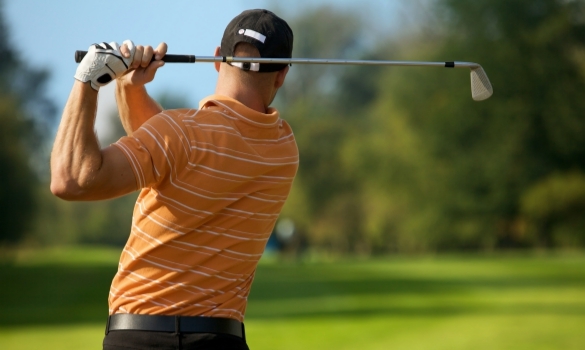 Owning a golf course can be intimidating, especially if you don’t have any previous experience. However, unlike many other businesses, a golf club can be successfully run as long as you know the game and educate yourself on updated strategies and practices. Contrary to popular belief, mixing business with pleasure can lead to success. If you have loved the game of golf for years, purchasing a golf club could be a profitable opportunity. There are many aspects to running this kind of business than just the handling of the course itself. The revenue opportunities are plentiful whether the club is a private or public course as long as you are equipped with the right tools. The golf industry in the US alone generates revenue of over $21 billion. This is spread out from the 15,000 courses in the country. Of course, there are variables in terms of which courses make more, depending on how each golf club management company runs the course, but altogether there is no doubting that this business makes good money. Because the economic income of the sport has produced billions of dollars, the maintenance costs will not be cheap. On average, the maintenance budget can range from $622,500 to $651,392 annually. The net profit margins of privately owned courses differ from public courses. Many private country clubs in recent years have lost 2 cents for each dollar of revenue from memberships, restaurant meals, and club shop sales. The reason for this is that many public courses have started to offer similar amenities to players. If you’re just starting out in this business, it is recommended to begin as a public course with great quality then work on becoming a private country club. Doing this will cut your maintenance expenses tremendously without sacrifice profit. If you follow this advice, you can profit from sports and maintain a positive cash flow for years to come. There is no denying that a lot goes on in the golf course business. Unfortunately, it is quite easy to lose a lot of money when running a course. The success of your course relies on the number of people who come to play. With proper marketing strategies, you can advertise a golf club and attract golfers of all social statuses. That is the best way to get the revenue you need to stay afloat. Also, it is much easier to go from a public club to private, then the other way around. Knowing what route best suits you and your budget can help prevent you from financial losses. If all of these things sound a bit time consuming and tedious, you may want to consider working with a golf management company. Although this will add to your expenses, the benefits they can offer you are well with the investment. A quality golf management company will not only help with a strategy that earns you enough money, but they will also figure out ways for you to save on unnecessary expenses. They can effectively find you the best deals on insurance which oftentimes is one of the biggest starting expenditures of a business. For this reason, they are essential business services. A management company can also help you to find the best employees that specialize in specific roles to further the growth of your golf course. The prices of their services all vary on the scale in goals of your golf course, and what your budget is. The more elaborate the amenities the more expensive the services. Overall, with the help of a credible golf management company, you will be able to increase membership sales, encourage customer spending, and keep members for a long period of time. The fees you invest in a management company will pay off just so long as you implement the advice given. Market your brand accordingly and boost your profits. Don’t wait any longer to seek the guidance and approach of an effective golf management company, as it will pay off in the long run.